A man and a woman must revisit their past as they search for an answer to an old mystery. A mystery that someone is prepared to kill for in order to keep hidden. 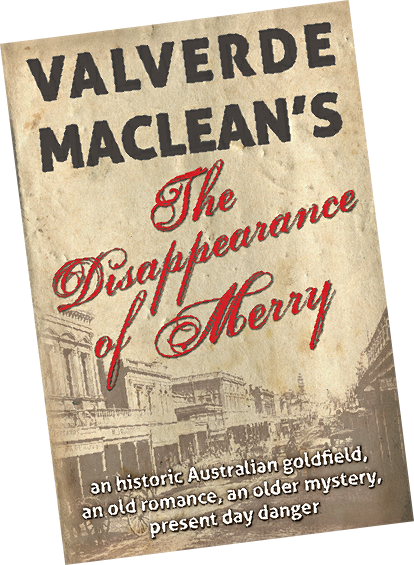 Their quest across present day Australia takes the reader on a journey from big modern cities, to rural sheep stations, a tropical island resort and a once fabulous old goldfield. As they seek answers to the mystery further questions arise. Their lives, and the lives of family members, become alarmingly at risk. Facing danger they must come to terms with their past relationship and what the future holds for them. However there is more to the story than just mystery, romance and danger. The Australian landscape, Australian history, culture and ways of life, past and present, form a vivid backdrop to the story. Peter and Suzie’s experiences make us think about our own lives: how easily they may have taken a different course. And more importantly, what and who, we want in our lives. "Where's Peter?" Readers of "The Disappearance of Merry" will find the answer in my new novel "Magenta".